Paul Warde is a Lecturer in Environmental History at the University of Cambridge. His research focuses on the environmental, economic and social history of early modern and modern Europe. He began his studies working on the essential role of wood in the early modern German economy, which led to studying the long-term history of energy use and its relationship with economic development. As the result of a ten-year project he has recently published Power to the people: energy in Europe over the last five centuries, written with Astrid Kander and Paolo Malanima. His work on quantitative energy history continues with a major project along with Astrid Kander, on the history of energy flows embodied in world trade, funded by the Swedish Research Council. Paul has also worked extensively on the history of economic and environmental th0ought, and is preparing a monograph on the history of thinking about ‘sustainability’ c.1500-1840. Along with Libby Robin and Sverker Sörlin, he has run ‘Expertise for the future’ since 2009, a research project examining the emergence of thinking about global change and the linked history of prediction and modelling. They are working on a volume provisionally entitled The Environment: a history, on the emergence of the modern idea of the environment. 2013 saw the publication of their anthology with commentaries, The Future of Nature, providing excerpts of 38 documents charting the development of global change thinking from the Enlightenment to the present. Commentators include other historians, geographers, economists, political scientists and climate scientists. 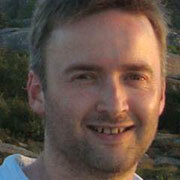 Paul has also works on the history of the Arctic, with special regard to fossil fuel extraction. As part of the MISTRA-funded Arctic Futures project he has been writing about Canadian frontier oil and gas exploration, and in 2014 will be part of the Arctic Governance team bringing together scholars from The Royal Institute of Technology, Stockholm, Umea University, and Lund University. Other interests include the development of early modern institutions for regulating resources and welfare support; and the essential but little studied potash trade of northern Europe. Paul has been involved in a number of AHRC-projects linking environmental history and current management and policy in Britain. He is also a senior editor at History and Policy (historyandpolicy.org) and sits on the editorial board of Environment and History. He works with the Energy History project at the Joint Center for History and Economics at Harvard and Cambridge. When not researching and teaching history, he is devoted to Hereford United Football Club, Tove Jansson, and doing cartoon voices on demand for his children.